Let’s start with the basic apple. I like mine firm and crispy, and don’t understand people who like them mushy. That’s just plain weird. To select a firm and crispy, it should feel and sound like just that. What does that mean? Pick up the apple and feel it. It should feel firm with no mushy spots. Mushy spots mean mushy apple or rotting. Ew! Once you’ve confirmed it’s firm, flick it like you would if you were to flick somebody’s ear. The sound of it should be crispy, vibrant, and sort of echo (vs. flat and dull). Check out the demo here (sans noise, which would have been helpful. Working on it!). 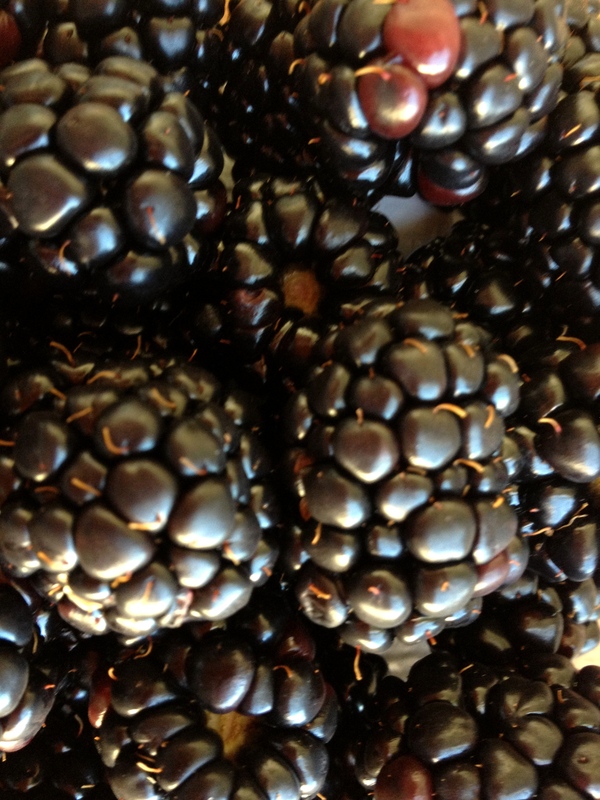 Berries are usually in wrapped packages, so difficult to feel…but usually it’s more about the fragrance and smell. For example, with good strawberries, you can usually smell them with a simple sniff. The smell of blueberries, raspberries, and blackberries are a bit more faint, but still there. 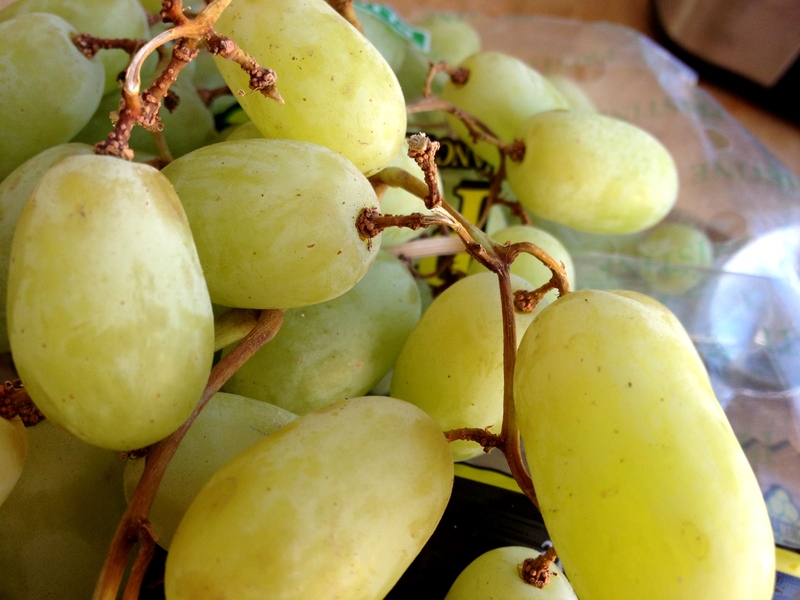 Grapes should be firm and you can usually feel them through the plastic bags they come in. OK, here’s the big kahuna and one that’s taken me years to really “get.” Watermelons are complex and take a combo of sight, sounds, and touch. The overall shape of it should be symmetrical and not lopsided. Color should be bright green (if it’s light green, it’s over ripe) with a spot of yellow (where it used to rest on the ground in the field). The belly button should be small. And finally, you need to give it a good slap to really know if it’s the one. Imagine that you are make believe slapping somebody’s face…palms open, good amount of force. Whack it and then listen. It should sound hollow and you should be able to feel a slight vibration. I was at the Whole Foods the other day slapping away and taught this technique to the fruit guy who worked there. It works…for real. Melons are a bit like watermelon. Their shape should be smooth and symmetrical. Cantaloupes are better if the surface is smoother/ pattern is denser. Hope this is enough to get you started. If you have any other fruits you’re curious about, write ‘em down below in the comments and I’ll ask mama if she has any words of wisdom.